Use these tips to set yourself apart from the competition and get a job as a freelance software developer. As a software developer, you can earn more money working as a freelancer than you work working full time. You can be your own boss, set your own schedule and have the flexibility to choose which jobs you want to work on. Before you quit your full time job make sure you have a few clients first! To do that, you first need to get noticed. Here are some tips on how to get attention as a freelance software developer, grab your first few projects and build your portfolio. 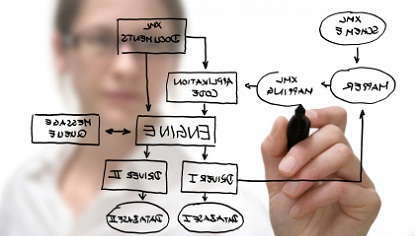 Look into joining a service organization and offer to rewrite their website or develop a mobile application for them. This is one of the best ways to get your first client. Hopefully they’ll pay you for the job, but if not, that’s okay. It’s not about the money at first, it’s about the experience and testimonial you can get from them. Get in touch with startup companies – not related to software - and offer your services. Since they’re not dealing in software, you might get lucky and be able to get your foot in the door. Send an email to all your family and friends with a special offer or discounted rate for a limited time. Your existing network is the best way to find leads. All clients want to see what projects you’ve completed. Show off your best work. Screen shots and a description of the project is plenty. You can then win them over in the interview. Testimonials can help you win over a new client. After you complete a job, make sure you get a written, detailed, results-focused testimonial from your client. Be sure to include the client’s name and company to the testimonial when adding it to your website or portfolio. Most freelancers get their clients from word of mouth. So be sure to market yourself on social media, do blogging, attend networking events, and do email marketing. Follow up with calls or emails when appropriate. And don’t give up. No one ever gets a client after the first meeting or email. Bookmark these sites and check them as often as you can. As always, when applying for any job, be sure your resume is up to date, include a cover letter and a link to your portfolio.